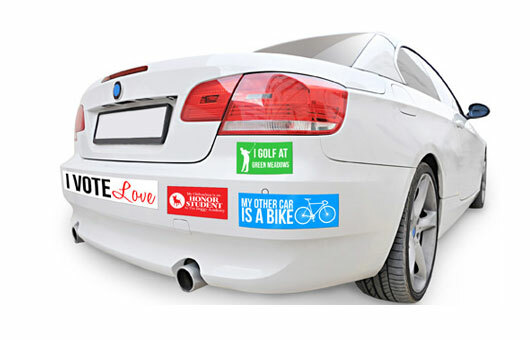 A lot can happen with bumper stickers, they are short and sweet and with Albert’s Printing NY you can make it absolutely memorable and eye-catchy. We offer professional services in vinyl bumper stickers design. You may submit your own ideas to our team and our team will work to execute your ideas and make sure the finished product looks as you imagined. We always make sure the quality is up to your standard and ensure the highlights in the images are bright and spellings are readable. Bumper stickers can be funny, perky, trendy, energetic, or downright beautiful. Everyone will notice when your bumper sticker is put on to cars. Albert’s Printing NY makes bumper stickers thatare waterproof and fade resistant with opaque fabric that makes them last for years. Our company also works on exact copy like your own ideas in printing bumper stickers. So make your visibility strong, be memorable and get ready to roll with Albert’s Printing NY quality.